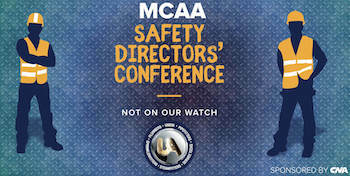 Smartvid.io will be exhibiting and speaking at the Safety Directors’ Conference hosted by MCAA. Join us on January 22-24 in Lake Buena Vista, FL to see first-hand to see how you can use the data you already have in construction management systems like Procore and Autodesk BIM 360, plus site camera data from OxBlue cameras to reduce jobsite safety risk and even start predicting safety incidents. On January 22nd, catch Mike Perozek’s, Vice President of Sales and Marketing, session to learn how to reduce jobsite risk with artificial intelligence. Startups in areas such as AI, computer vision and behavior recognition were the winners in the second round of the Lloyd’s Register Safety Accelerator’s ‘SafetyTech Innovation Day’. The day gave 11 startup finalists the chance to pitch their cutting-edge solutions to some of the most urgent safety challenges within the marine, energy and critical infrastructure industries. Rob McKinney knows construction technology. As the ConApp Guru for JBKnowledge, a construction technology consulting firm, McKinney spends most of his time helping construction companies unlock their potential and increase construction safety by showing them what’s possible with technology. "I like seeing the light bulbs go off," he says, "When you get in and show them what they can do, how much they can accomplish." Smartvid.io will be exhibiting at the Construction Technology Expo hosted by the General Building Contractor Association. Join us on November 29th in Philadelphia, PA to see first-hand to see how you can use the data you already have in construction management systems like Procore and Autodesk BIM 360, plus site camera data from OxBlue cameras to reduce jobsite safety risk and even start predicting safety incidents. Smartvid.io will be exhibiting at this year's Groundbreak Conference, taking place from November 13-15, 2018 in Austin, TX. Look for us in Booth #300 (right by the entrance) to see how you can use the data you already have in Procore to reduce jobsite safety risk and even start predicting safety incidents. Smartvid.io will exhibit at this year's Autodesk University on November 13-15 in Las Vegas. We will have a booth (#B1015) so be sure to stop by to see how you can use the data you already have in BIM 360 to reduce jobsite safety risk and even start predicting safety incidents. Additionally, we will be at the AU preconference, Connect & Construct, on November 12th! Look for us in booth C7 in the Village!